To better understand laptop implementations, the project team conducted case studies in five middle schools across two states to investigate how various factors such as accountability climate and leadership have influenced the processes of teaching and learning with laptops. Read our research questions, conceptual framework, and download instruments. 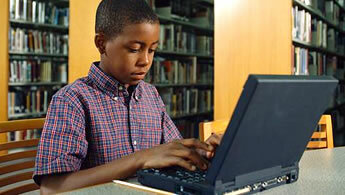 View the case reports about the classroom contexts and laptop uses in five middle schools. Download the three cross-case analyses on accountability, leadership, and classroom uses.